Our body consists for a large part of water. water but also the essential salts. You need to drink enough water so the body can perform well, physically and mentally. By replacing the lost fluids and salts, you won’t dehydrate. 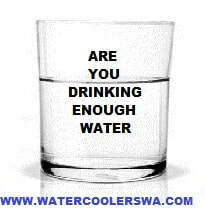 NOW YOU PROBALLY WONDER, DOES OUR BODY NEED WATER?. The answer to that is YES, we do. Because our body consists of approximately 70% water, it is very important when you lose fluids to replace the lost fluids in your body. How much water should I drink each day?. Recommended is to drink 2 litres of water daily which is average. If you a person who is physically very active during the day, you need to drink more. But don’t underestimate our climate and what it can do to you. A short walk or a bike ride in hot humid weather can cause problems. WHAT ARE THE INDICATIONS OF DEHYDRATION?. early signs that your body needs some fluids. At this stage it doesn’t mean you are dehydrated. If you body starts to have systems like dizziness or cramped legs. But also our skin needs water to keep itself elastics, soft and wrinkle – free. The benefits of drinking water, there are many reasons to keep your body hydrated, but make sure that if you get dehydrated cool yourself down by drinking water. What you can do to replace lost fluids in time?. You always have to make sure that you drink water on regular intervals. If you are thirsty, you are basically too late, an easy way to fix this is, whenever you are about to eat a snack, get a glass of water as well. I drink that much coffee/ tea throughout the day, I get enough fluids a day?. Sometimes they do more harm than good. The best way to replenish your body is to drink water.